During the last year's elections in Poland a truly leftist party surfaced for the first time in decades, proposing to raise the taxes with a progressive tax system. It turned out that a lot of Poles didn't know how such a system works and became terrified by the thought of a 75% tax for the richest. That convinced me to create some kind of visualization of various tax systems - be in flat or progressive. This is an early stage effect of my works: TaxBrackets 0.1, available at my Github. I've been meaning to sit down and work it out for months, and starting wasn't easy - the most important factor was a clear and simple design. It had to present an average person how the tax brackets are distributed in their gross salary. Iterating between versions with varying level of details I finally settled on relative simple one, which shouldn't feel crowded. Feel free to change the number above - it represents a monthly income in PLN. I hope this little lib will prove useful to somebody even in this state - I will continue working on it in my spare time. d3.js was rather an obvious choice for an implementation. Since it was my first go with the library, it took me a moment to get used to the concepts - yet I'm very pleased by the results, especially the transitions. The year/monthly income depends on the limit parameter set in the taxSystem, so there's no need to alternate between the modes in the code itself. Showing full labour costs instead of just income tax would be beneficial. 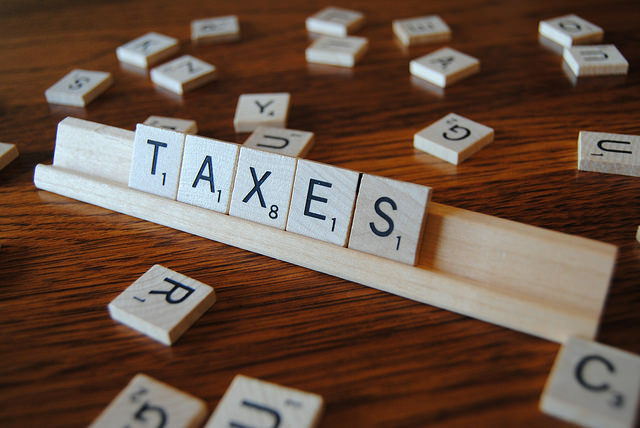 Right now the constantFee remains unimplemented, and in several tax systems (including Polish) it can vary between a flat rate and a percentage of the income. That's a major redesign. Splitting the library into several files, probably using webpack should be a good idea - especially the business logic (calculating the taxes) should be in a different module than rendering. Better tooltips - and not displaying them when the legend is visible on a bar. That one has been bugging me for some time and I haven't been able to find a clean implementation of the solution so far. Major ECMAScript overhaul with a lot more const will be needed. Packaging it into a standardized d3 module, maybe? If you have any comments - please contact me about it!